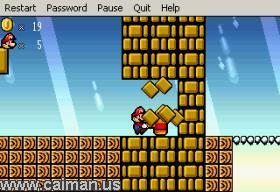 Caiman free games: Mario Left The Cheese Out by 4-Eyed Entertainment. Mario has left the cheese out. Now he has to fight SuperToad for the cheese. 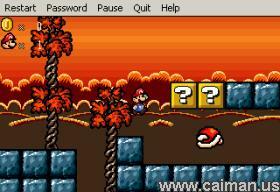 It's a nice game with several levels and a few bosses, but it runs in a small-sized window (320x219). Don't think it's an easy game, it isn't. For insiders: It's got the Paper Mario items and attacks. Authors homepage (downloads are too old) .